Philadelphia will get extra funky on Saturday evening when Brooklyn's nine piece funk army, Turkuaz, returns with the British jazz-funk fusion act, The New Mastersounds, make a stop at the Theater Of Living Arts on South Street. Led by the energetic guitarist/vocalist in blue,Dave Brandwein, Turkuaz is known for their dynamic live performances that brings the energy flowing onto the audience with a powerful three-piece horn section of Chris Brouwers, Josh Schwartz, and Greg Sanderson, the masterful guitar licks from Craig Brodhead, Taylor Shell supplying the essential bass and the skillful drumming of Michelangelo Carrubba, all accented by the amazing vocals of Sammi Garett and Shira Elias. 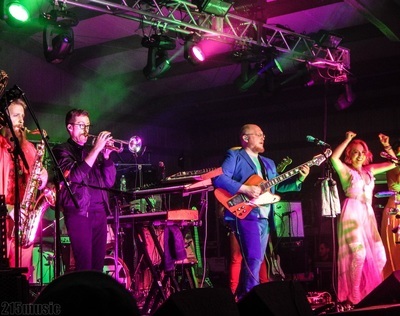 The group have invited their close friends from the United Kingdom, The New Mastersounds, to hit the road with them on a US tour which stops in Washington DC and Pittsburgh before the visit to Philly. 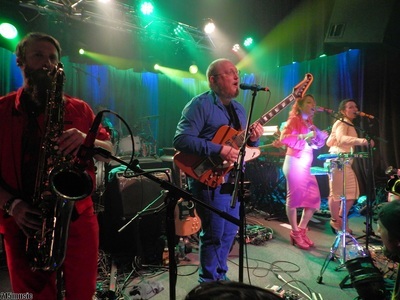 Earlier in 2016 the two funk outfits stopped in Oakland, CA to record a 7” record which featured The New Mastersounds performing Turkuaz’s, “The Rules”. 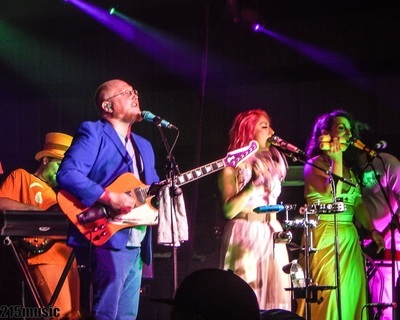 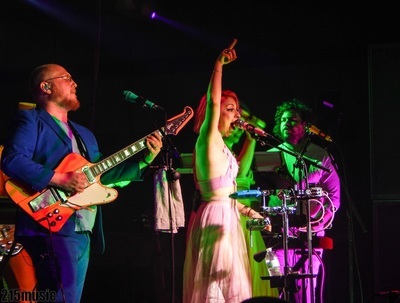 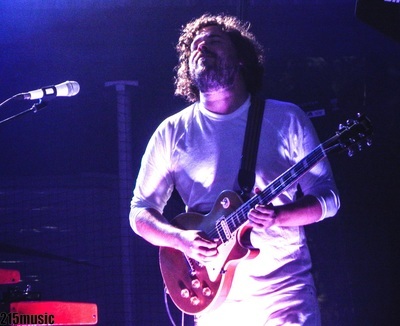 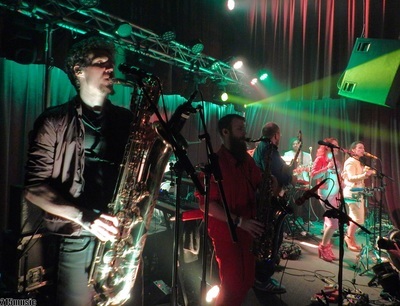 Turkuaz returned the favor with a rousing take from the British funkmasters, “On The Border”.